This will turn out well for no one. Well that is not how that is supposed to look. They get to fly for free. thats an earth quake there guys. It’s still a (past) derailment. I’m not sure whether to laugh hysterically or say shame on you. My bro-in-law works for the railroad company inspecting the rail lines, he finds messed up stuff like this all of the time. I’m never taking the train. 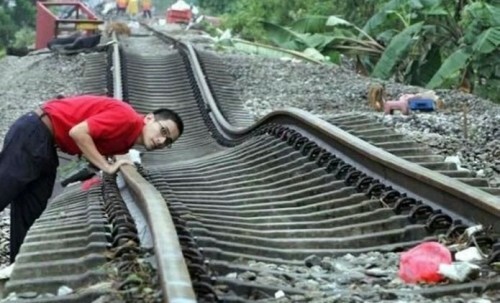 a bad train ride or a start to a great roller coaster?